Have you ever wondered what it would be like to be face to face with a dinosaur? In Komodo your dream can come true. Komodo and Rinca are the only places where we can still find these Komodo Dragons in the wild. These small brown scorched-earth islands fringed with sandy beaches are lapped by the clear waves of the National park, where you may even see the dragons patrolling the beach or watching you from a high rock. Below the surface there will be many more wonderful creatures you may never have seen before in your life, like the hobbit worm or a rhynopia, a lady bug or a skeleton shrimp. 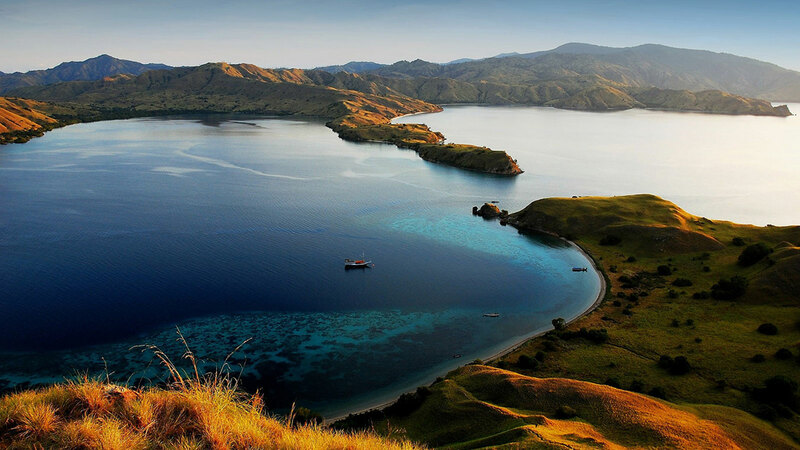 Komodo is not only famous for its macro life, there is an abudance of fish and corals due to its rich mineral waters. You'll see some beautiful pelagic, like mantas or sharks. Weather: 27-32 C. Indonesia has two seasons. In most of Indonesia the wet season is from October to April and the dry season from May to September. Don't miss diving at: Castle Rock, Karang Makassar, Cannibal Rock, The Cauldron, The Shot Gun and more.